If you've been following me for a while, you know how much I love kitchen gadgets. I'm obsessed with spatulas and cooking spoons. You can only imagine how happy I was to get the chance to review these products from Kizmos Kitchen. Aren't these the cutest things you've ever seen? How fun would it be to have these in your kitchen? Here's a look at the more Kizmos Kitchen products. 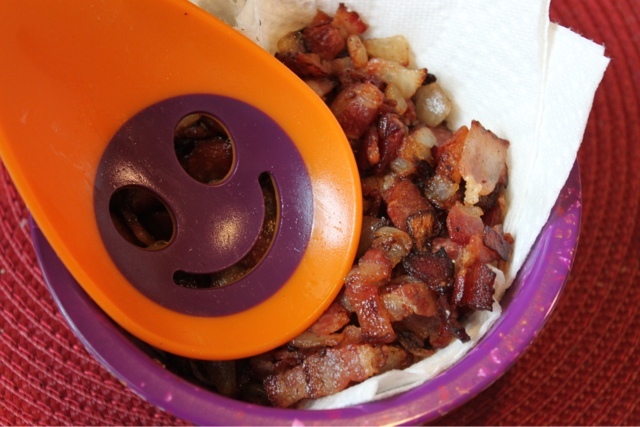 The spoon is as happy as I am whenever I'm around bacon. I used the slotted spoon to drain my bacon. It's the perfect spoon to use to serve your summer salads whether it's a pasta salad or a fruit salad. 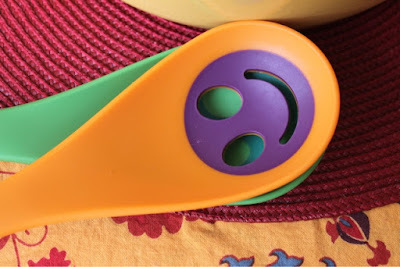 My spoon here is an orange/purple combination, but it also comes in red/blue, blue/green, and green/dark green combinations. I'm sure you'll find one that will appeal to you. One of the things that impressed me the most about these products was the quality and weight of the spoons. The spoons were thick and sturdy; the handles fit comfortably in my hand. 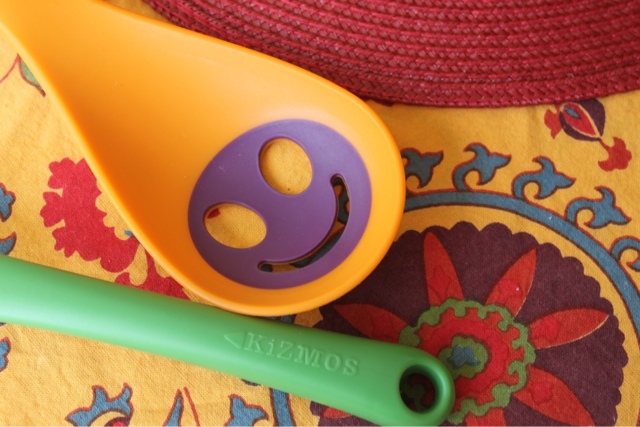 While these spoons may be smiling, they're not weak! These spoons can take on the heaviest jobs in your kitchen. These two spoons are only the beginning of my Kizmos collection. I will be looking for these products everywhere I go. I can't wait to get the whole collection! What a happy kitchen I'll have!!! Thanks to Kizmo Kitchen for providing me with the review and giveaway products. 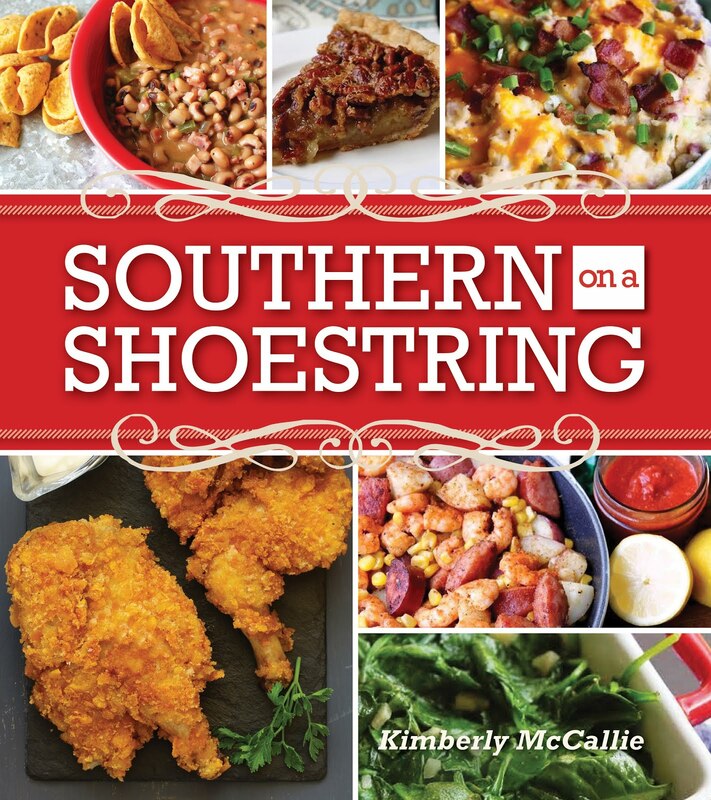 Please stop by their Pinterest page at http://pinterest.com/kizmoskitchen/ to see their products in action and to look at the beautiful rainbow of recipes that they've pinned. 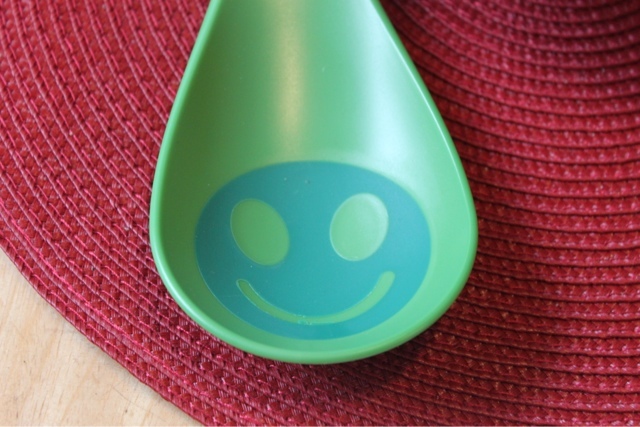 How would you like to add a smile or two to your kitchen? You're in luck because I've got these spatulas and magnets ready to send to you to brighten up your kitchen this spring and summer. If you've used Kizmos products before, please leave me some feedback here on the blog or stop by Kizmos Kitchen Facebook page and let them know how much you love them! 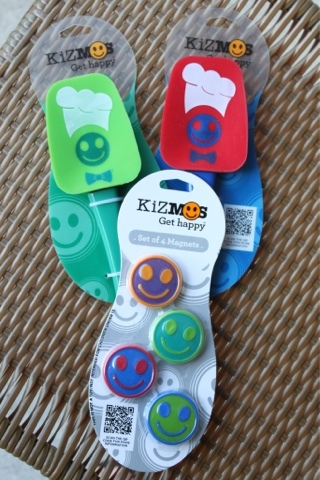 One lucky winner will receive two Get happy Kizmo Kitchen spatulas and one set of Get happy magents. Please allow a few moments for the giveaway widget to load. These are adorable! My granddaughter that I care for would love them! I've never used Kizmos gadgets before but winning a giveaway would certainly give me a chance to! These are cute. Would love to give them a try. These are too cute!!!! Perfect for mommys little kitchen helpers! !